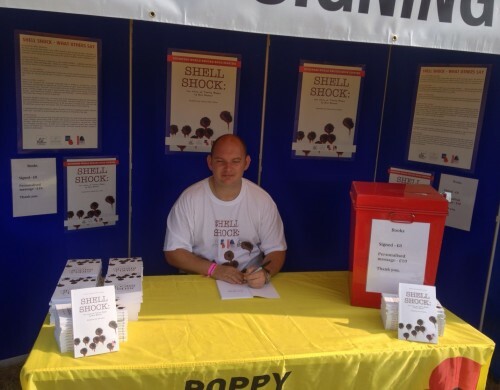 Neil Blower sets a new world record after signing copies of his novel, Shell Shock, for 72 hours non-stop. The agency’s client Neil Blower has set a new world record for the Longest Continuous Book Signing, it emerged this morning. Neil, an acclaimed novelist, signed copies of his first book, Shell Shock: The Diary of Tommy Atkins, for 72 hours non-stop. The gruelling feat took place at the War & Peace Revival Show in Kent earlier this year. He planned to sign a total of 5,000 books over the course of the five-day challenge, which was undertaken to raise money for the Royal British Legion and the mental health charity, Combat Stress. Though the turnout was less than originally expected, the Royal Tank Regiment veteran – who was struck down with PTSD following the death of a colleague in Iraq – still set a new Record Setter record in the process. He opted for an unofficial record through Record Setter because the fees levied by Guinness World Records to give it their stamp of approval would have reduced the amount of money he could give to charity. The challenge was created and promoted by Palamedes PR, a book PR agency which has represented Neil for more than two years. Neil’s record attempt began on the morning of Wednesday 17th July and finished on Sunday 21st July – a total of 72 hours continuous signing. The aim was to set a record for the longest continual book signing, rather than to beat the existing Guinness World Record for the most number of books signed in a single session – currently held by the chess champion Anatoli Karpov. A spokesman for Palamedes PR, which specialises in PR stunts and book PR, admitted that news of the record came as a “relief”. He said: “The quality of the concept was never in doubt – we knew the record challenge would support Neil’s PR objectives in a fun and newsworthy fashion. 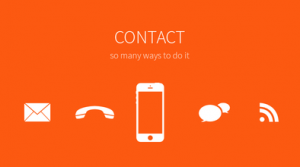 Are you looking for quality book PR?